PSYOP Regimental Blog: Pink Slips in Afghanistan? How do you get fired for doing a great job and one you love? Easy – be in the military at the end of a conflict. The rubber band personnel policies associated with gearing up and gearing down from conflict are in play. There have been many recent articles about Captains and Majors receiving their ‘pink slip’ while on duty in Afghanistan. 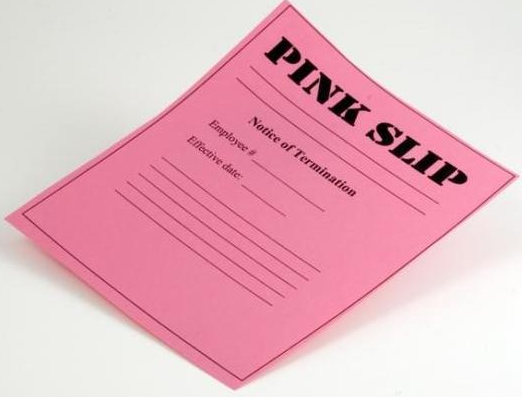 For my non-American readers, a ‘pink slip’ has two American colloquial meanings. The one used here means a termination notice from your human resources (personnel department). The other one, not used here means the title document to a motor vehicle, typically in California. (see: Black Majors dismissed at a great rate than whites at: http://www.armytimes.com/apps/pbcs.dll/article?AID=2014308050052). All of us who have served in the military have felt privileged to do so. There was a higher dimension of satisfaction with your job and you felt a kinship with your co-workers (past, and present) that is not experienced in the commercial sector. The work is often demanding and sometimes dangerous. There is generally no such thing as an 8-hour day and my CJICTF (Combined Joint Information Campaign Task Force), the PSYOP task force, in Bosnia had no understanding of the term ‘day off’ even though our Civil Affairs colleagues were off every Sunday. You feel the work is important and so you give it your all, consequently, when you feel you got screwed, you’re hurt and disappointed. To this day I can remember how down I was after not being selected for Group Command. “How could the Army be that stupid?” I wondered, after all, I had a pretty good track record and I only lived 6 miles from the unit while the winning candidate lived over 2,000 miles from it. I bring this up because I don’t want any of my soldiers who are leaving the Army to feel this action is personal. The Army is an institution and if you love the institution, you need to do what you can to stay connected in the way that makes the most sense for you. In my case I moved on to the 315st CA Command where I served as the G2 and ultimately to SOCOM where I served as an IO Officer. While neither was as good as Group CDR, I was able to continue my relationship with the military. Now that I have been retired over 12 years I’m still connected as an ESGR Volunteer, author of this Blog and occasionally, a small government contractor. My advice to affected individuals is: if you can transfer to the Reserve or the Guard -do so. You’ll maintain the connection and you’ll have a pension when the time comes. Clever PSYOP or Admission of Weakness? Shock Imagery: Good Or Bad For PSYOP?